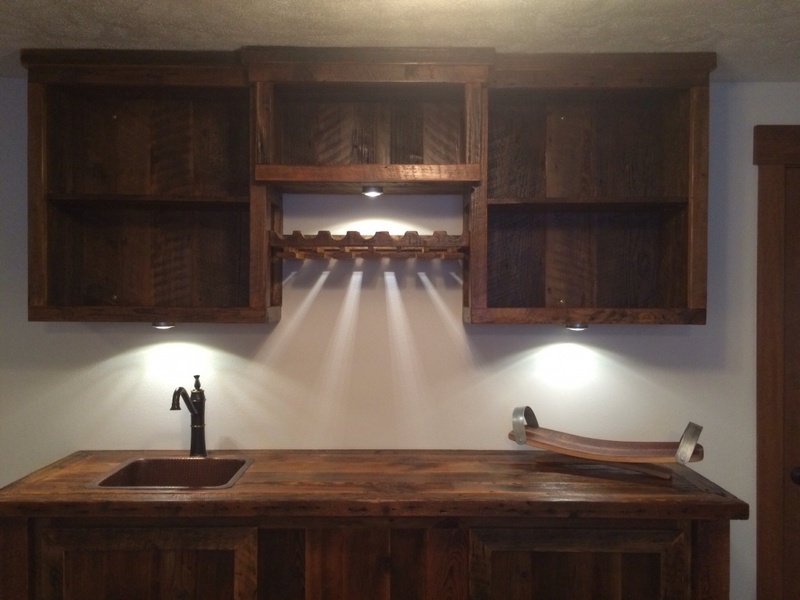 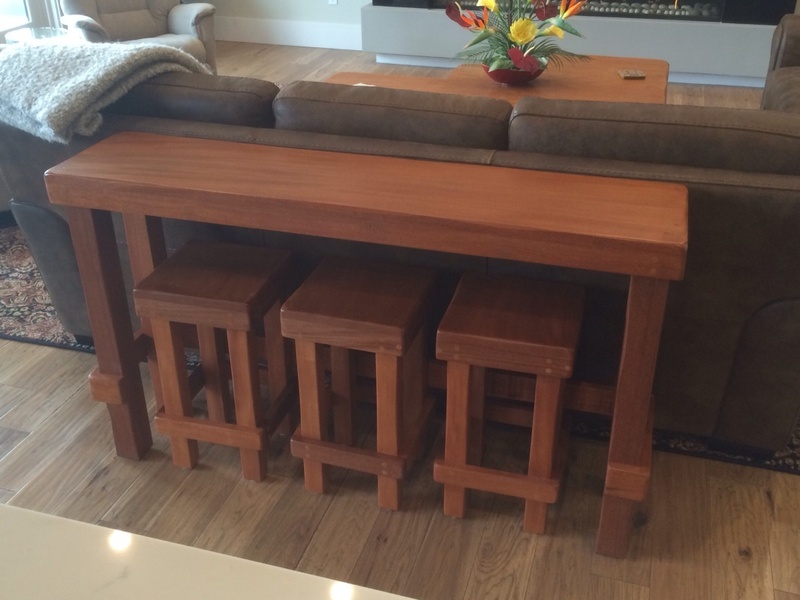 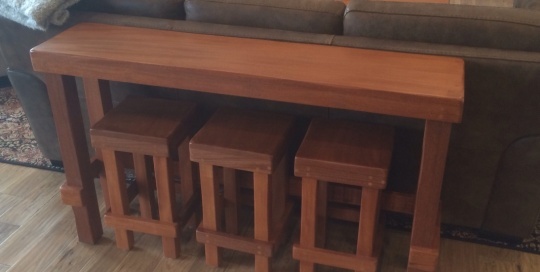 Custom 6 person rectangular pub set constructed out of reclaimed wine barrels and built to client specs. 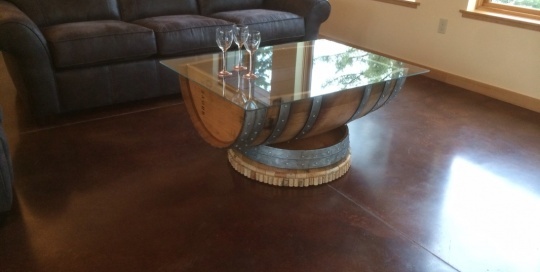 Concrete and wine barrel pub set with custom grape inlays and wine bottle glass encrusted edge. 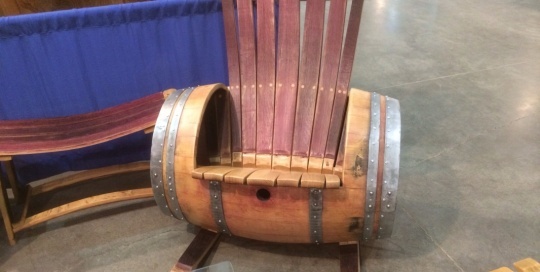 Smallwine barrel rocker with built in storage. 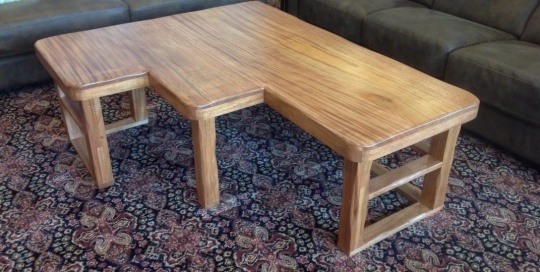 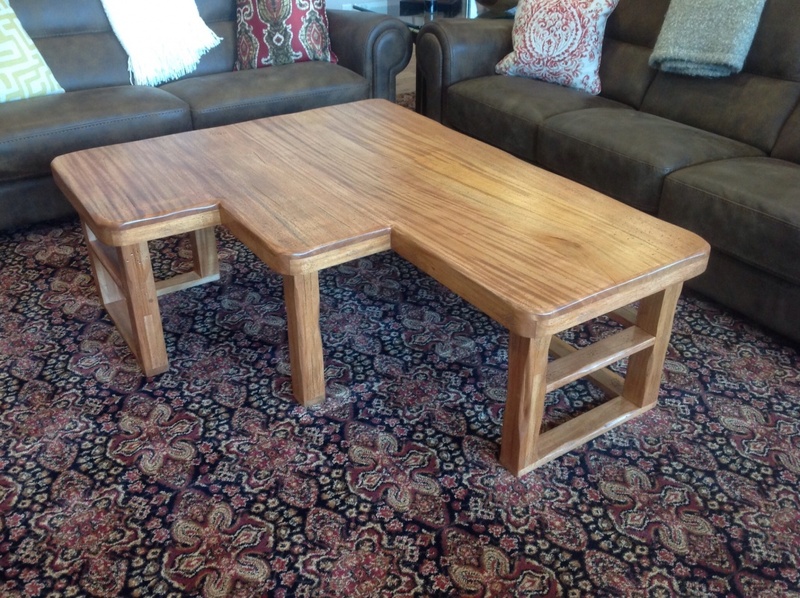 African Ribbon Mahogany coffee table. 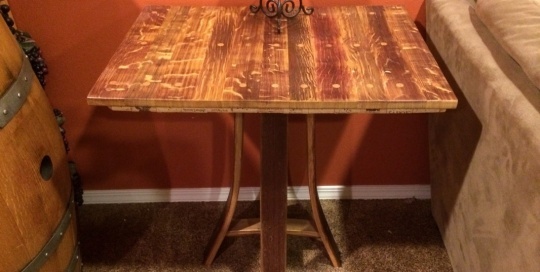 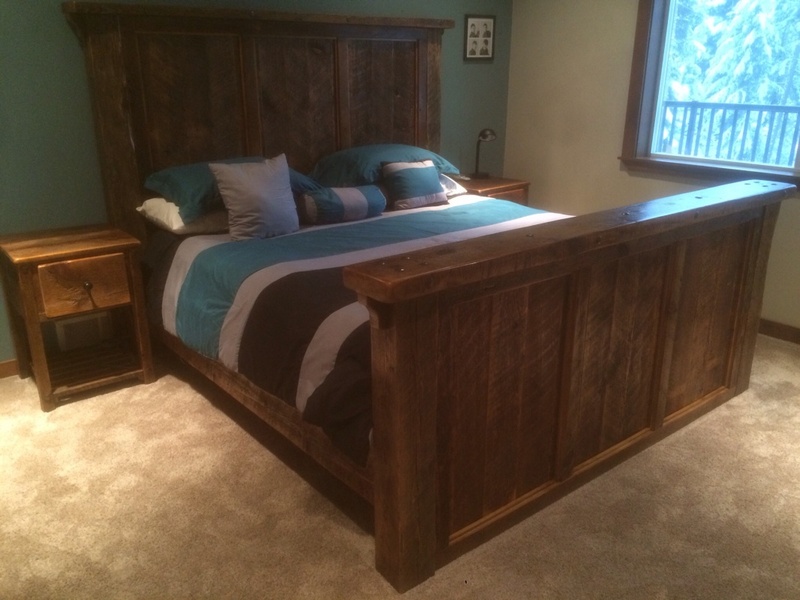 Custom built to customer specifications with medium distressing. 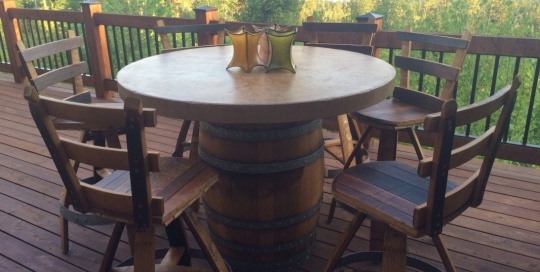 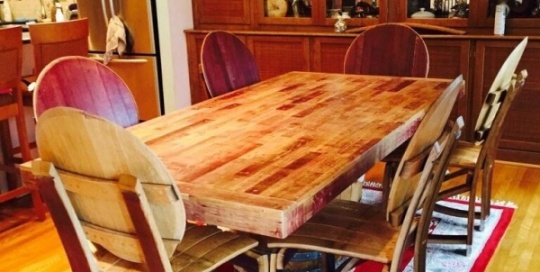 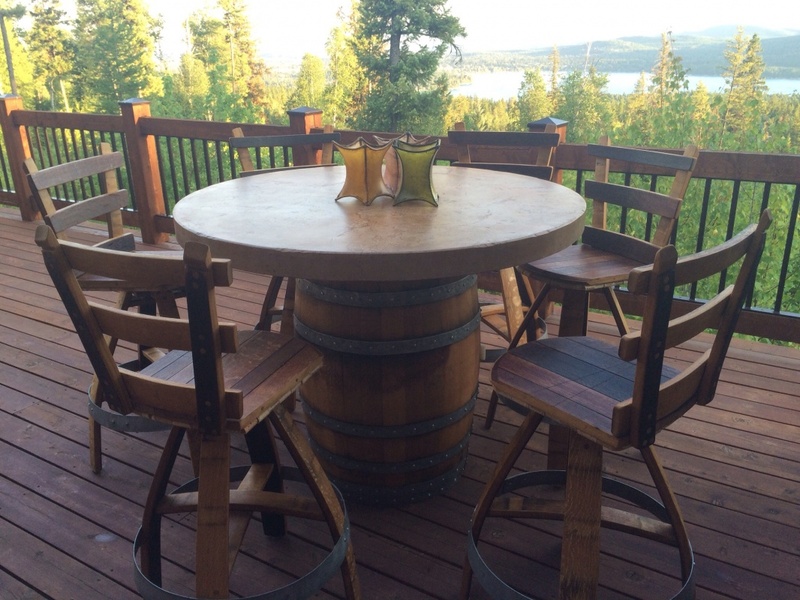 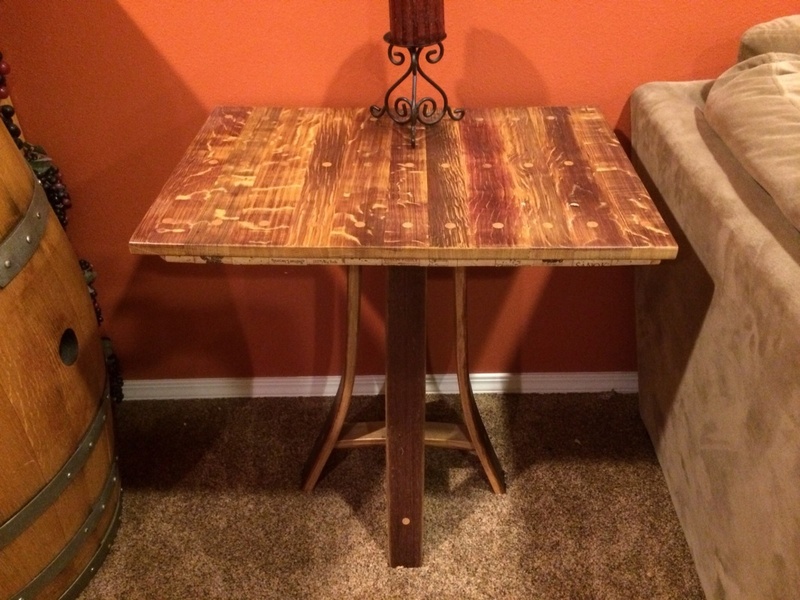 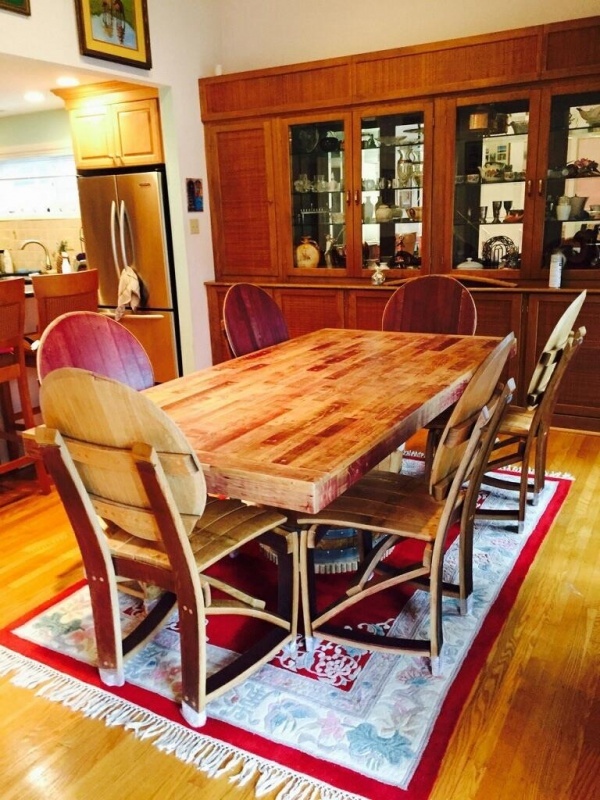 Wine barrel 6 person dining set. 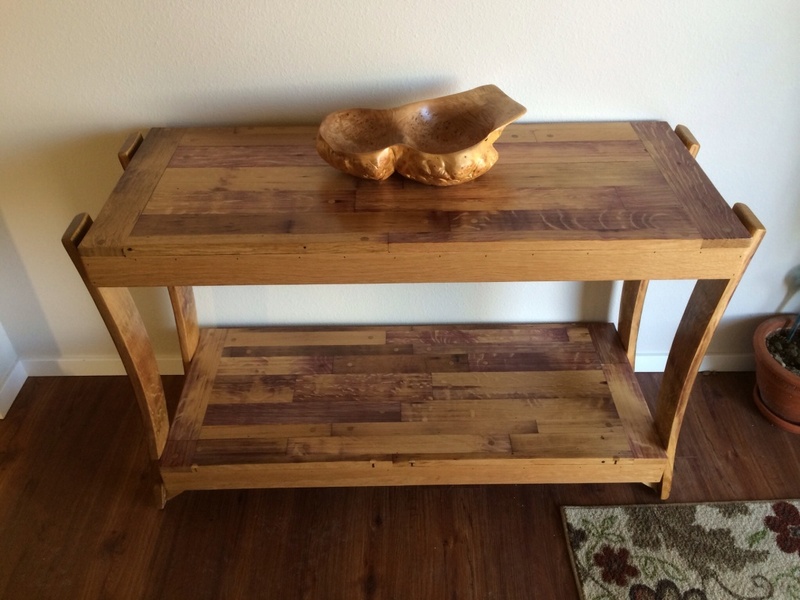 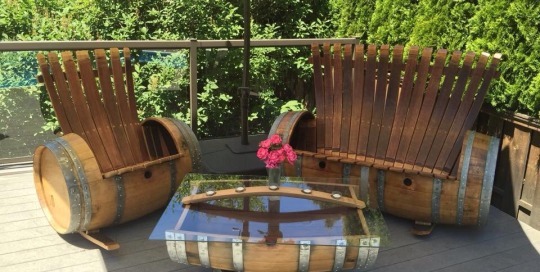 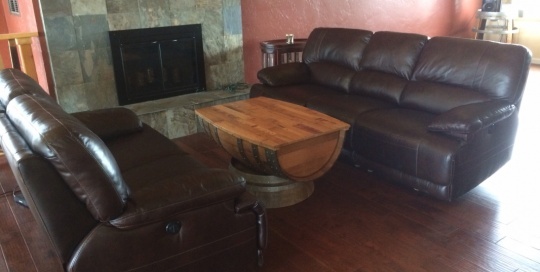 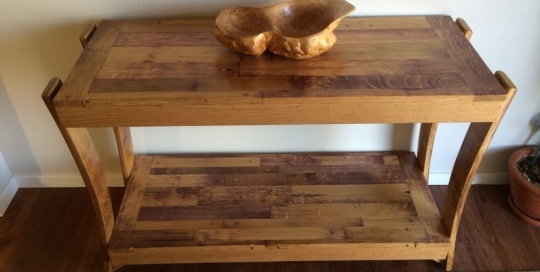 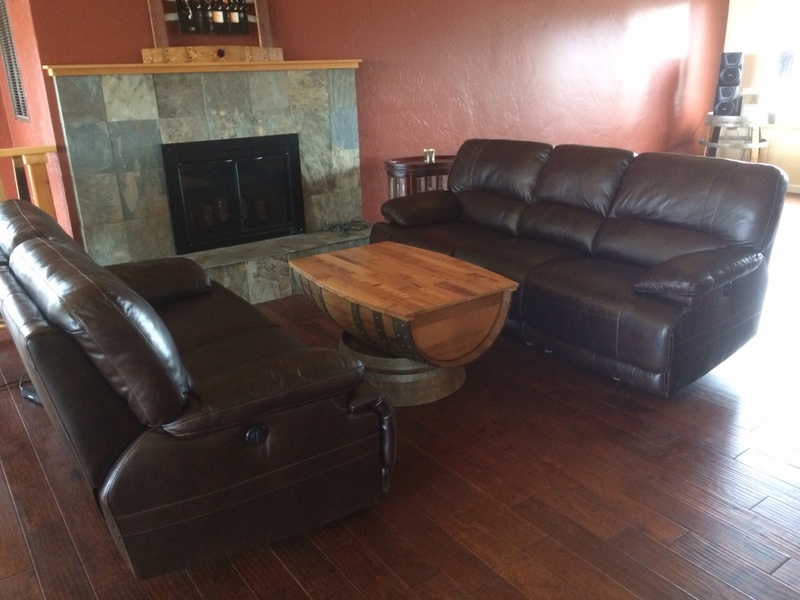 Small barrel rocker with storage, large rocking bench with storage, and glass topped barrel coffee table. 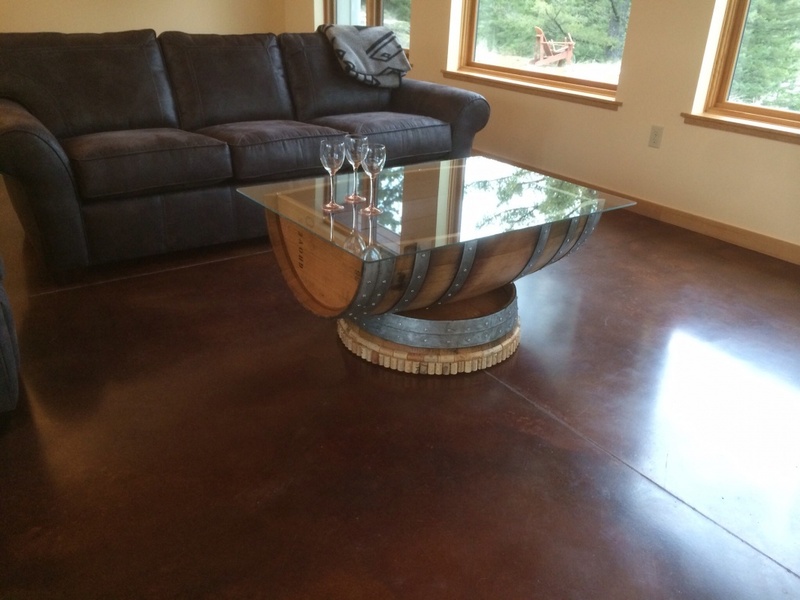 Concrete topped custom pub set. 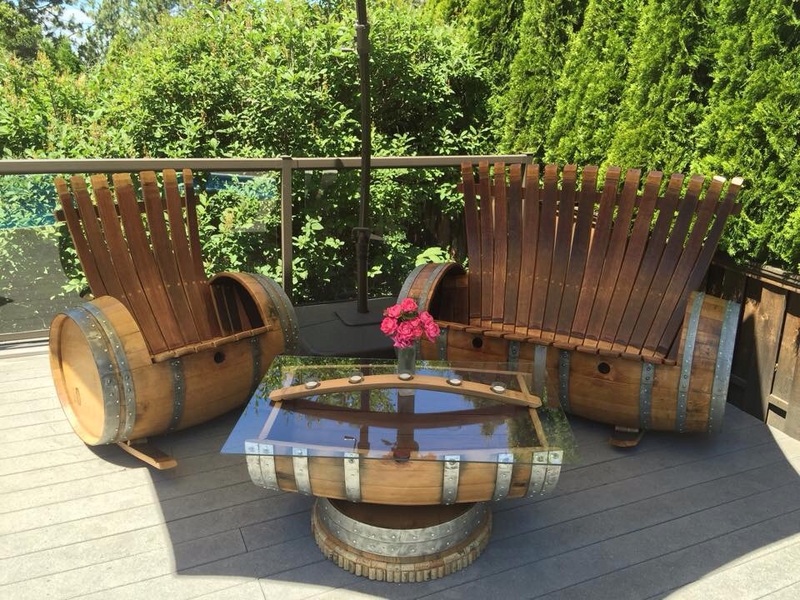 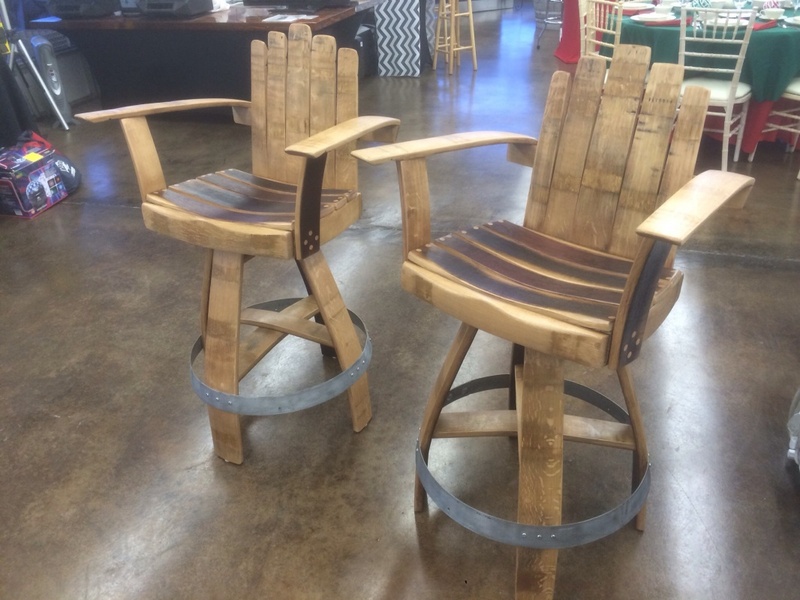 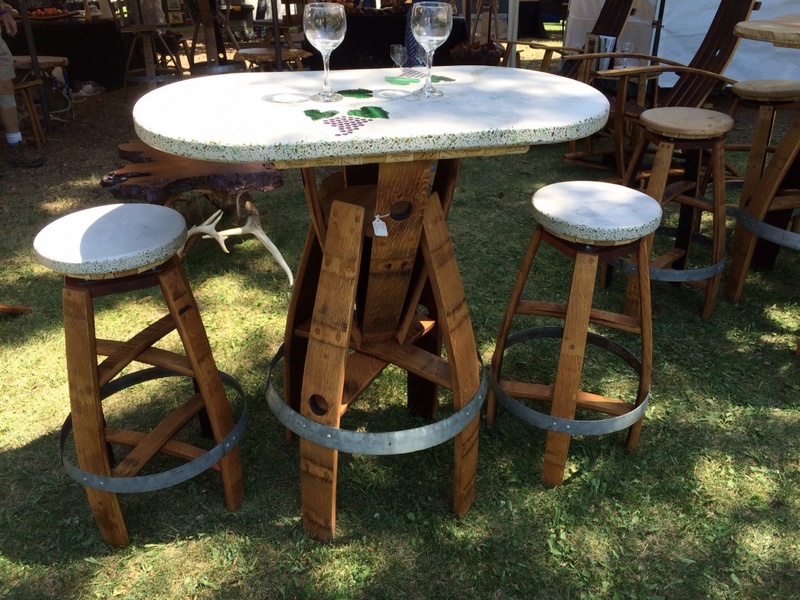 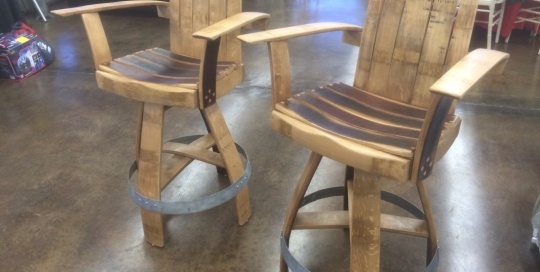 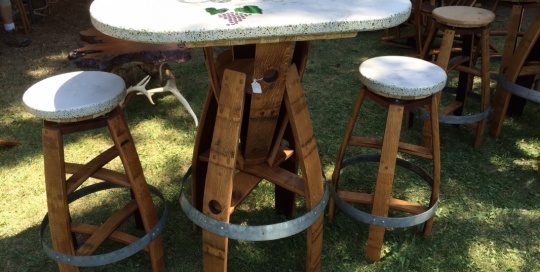 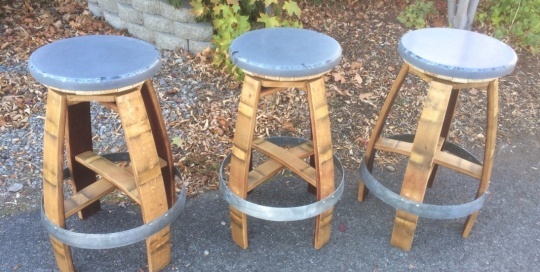 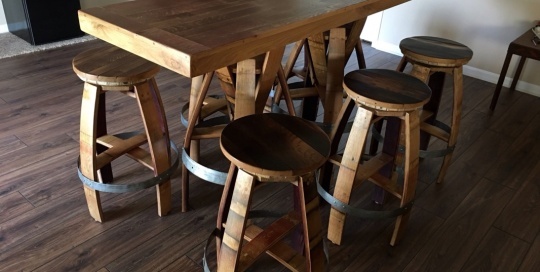 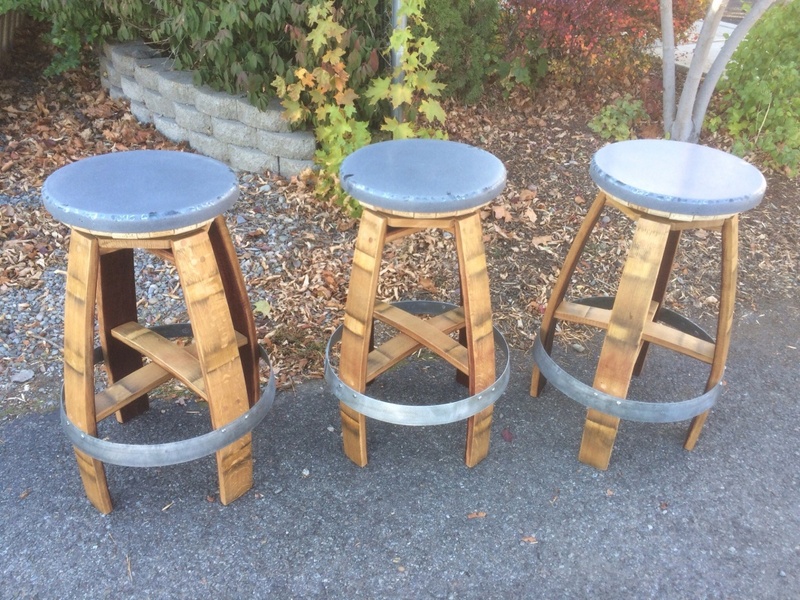 Concrete and wine barrel swivling bar stools. 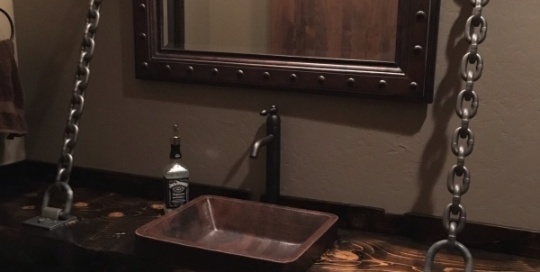 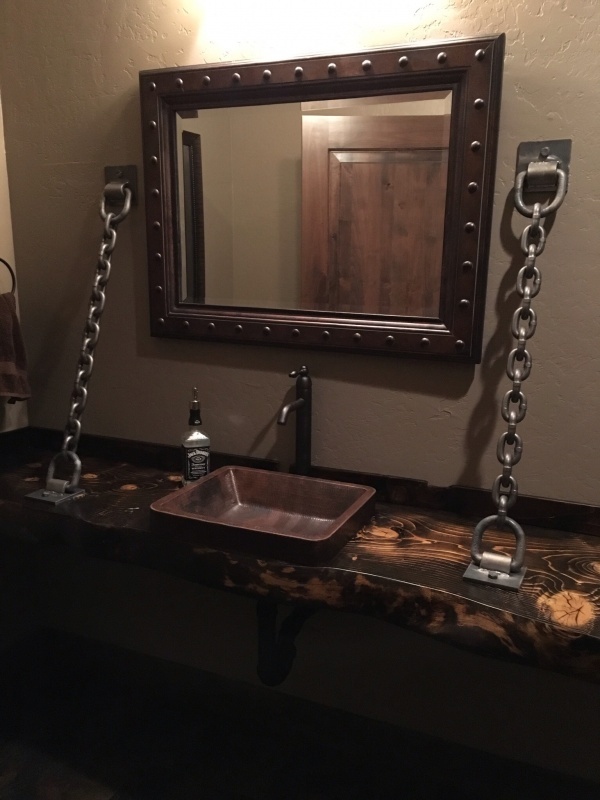 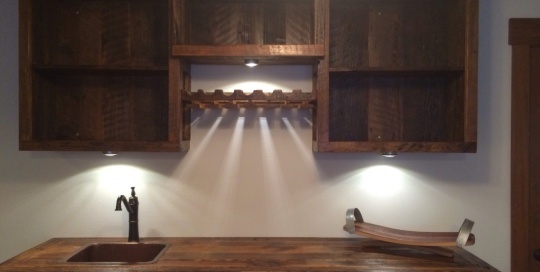 Man Cave suspended bathroom vanity. 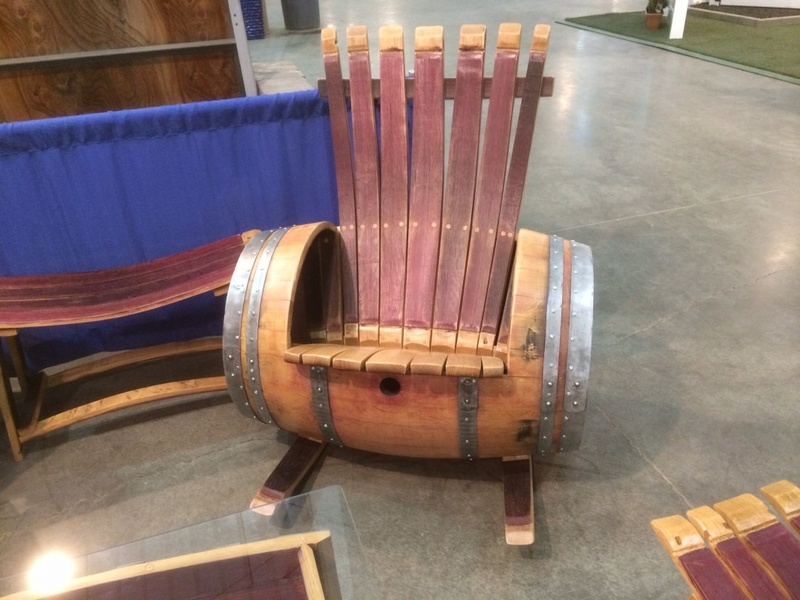 Wine barrel king bed set. 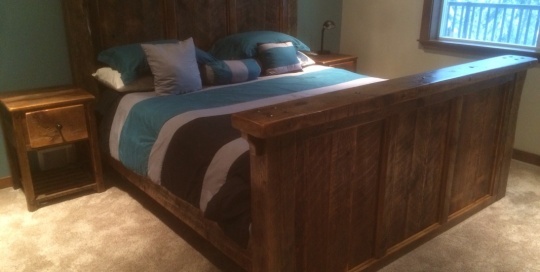 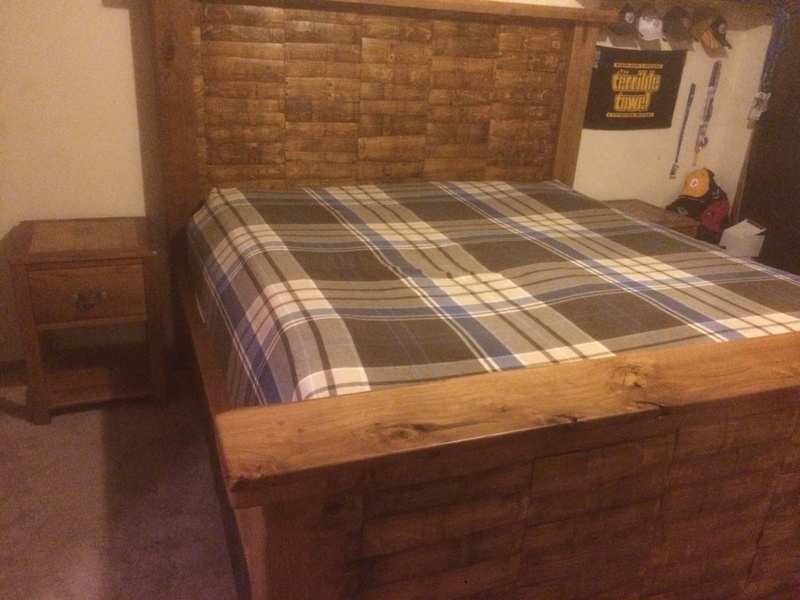 King bed set made from reclaimed barn wood. 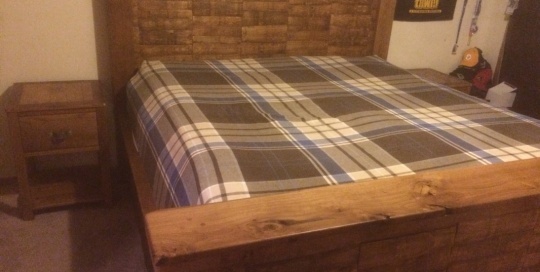 As always, can be customized for any desired look. 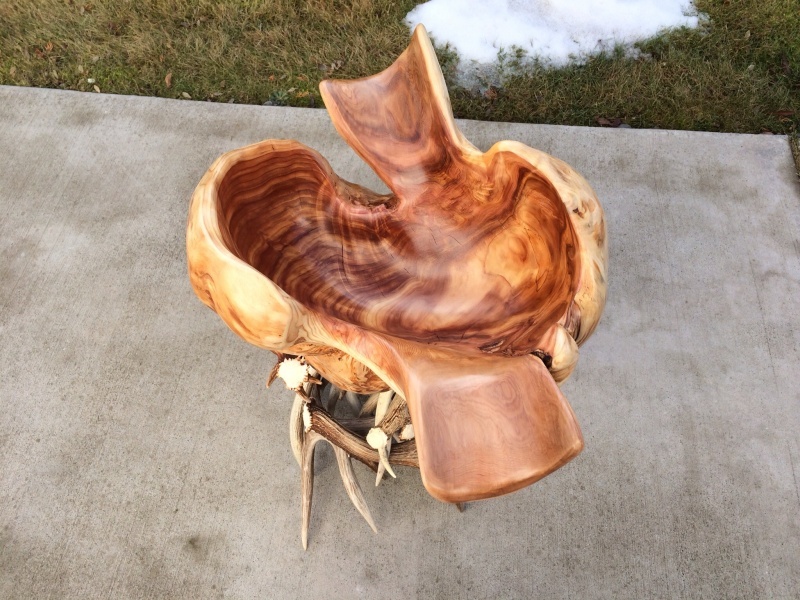 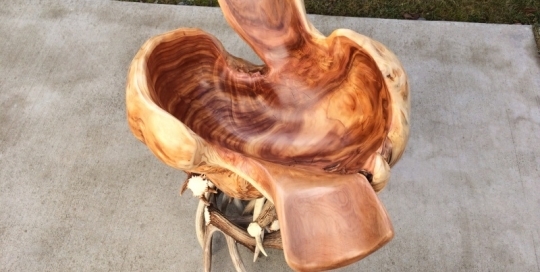 This is a large Maple burl hand carved and sitting on top of a deer antler base. 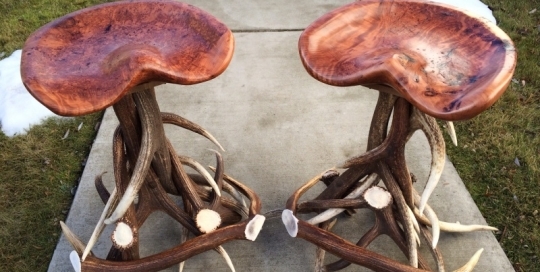 These beautiful hand carved bar stools are perfectly formed for comfort. 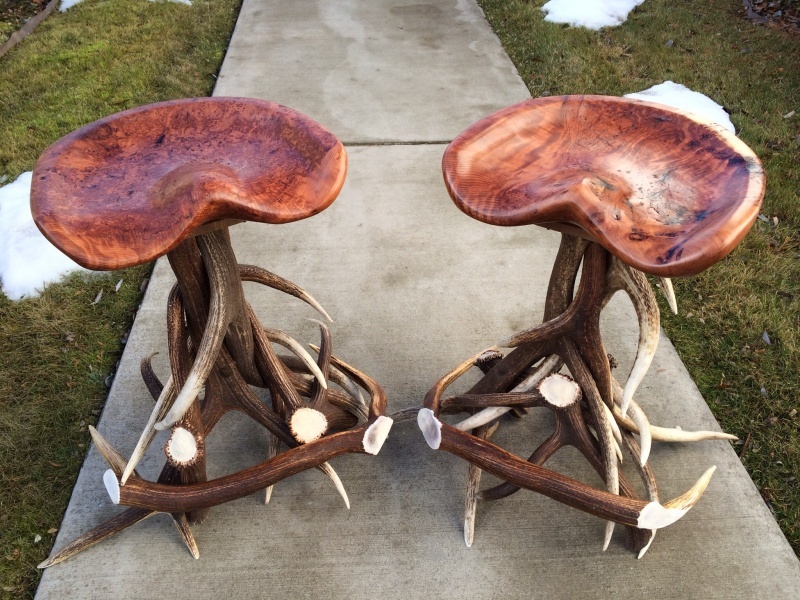 They have a perfectly configured Elk antler base. 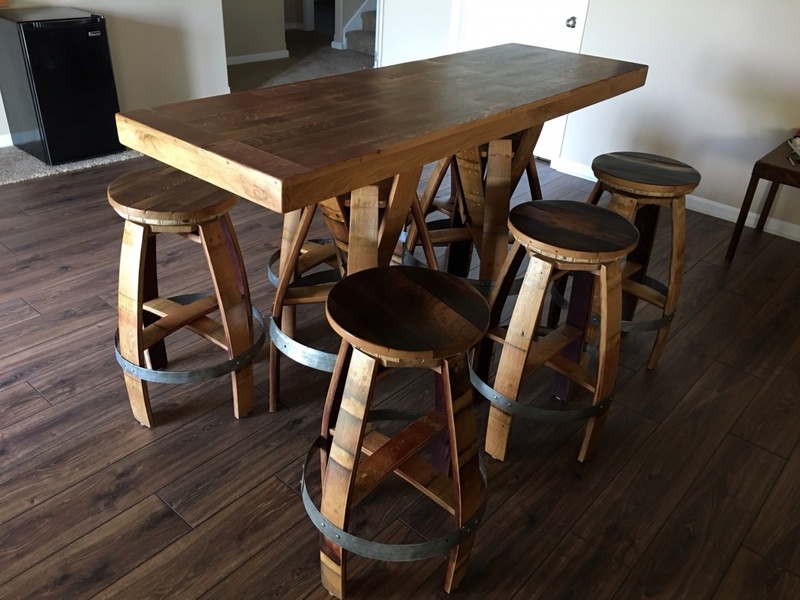 For more information on products, custom orders, materials and components, please go to our CONTACT page and fill out our online form.